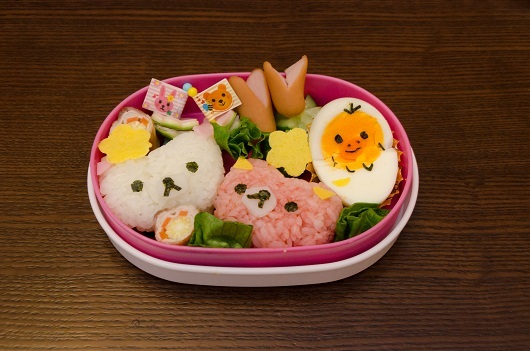 "Kyara-ben" is short for "character bento," or bento made with figures from product, animation, or other characters fashioned from food ingredients. Another name is "deko-ben," or "decorated bento." 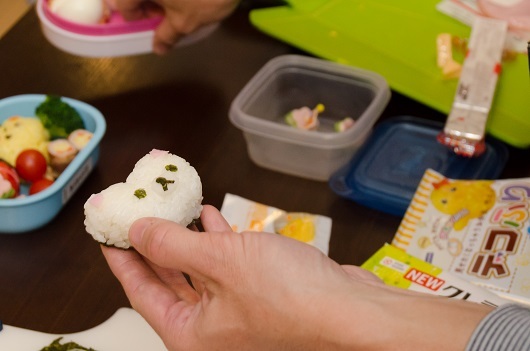 Making character or decorated bento, for oneself or members of the family has now become quite popular not only in Japan but in other countries as well. 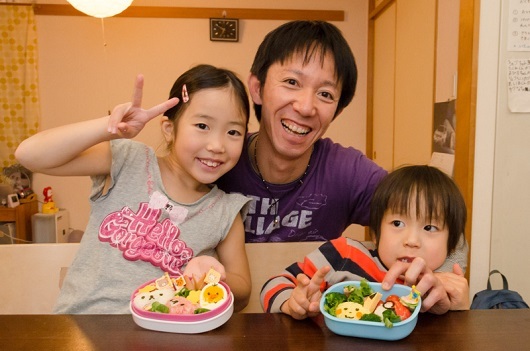 Arao Kei, who makes bento for his two children that are almost too cute to eat, talks about the rewards of making character bento, ideas about food, and time with family. My daughter is 8 years old and in second grade. My son, age 5, is in day care. Since my wife died three years ago, I have raised the children by myself while working at my company. I prepare breakfast and supper for the children and they eat their lunch at school and day care. 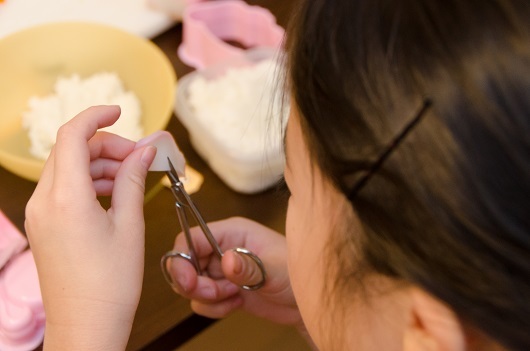 So the times I prepare bento are limited to summer and winter vacation when my daughter has lunch at the after school play center (gakudo*), and for field days (undokai), excursions (ensoku), and other special events. 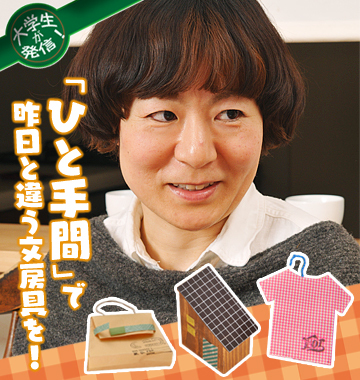 For the gakudo bento lunches during vacations, I can't spend a lot of time. I put it together in the morning in about 15 minutes. Sometimes I keep some bits of the main dishes from the previous evening meal to increase the variety of items in the bento. When there is some special event, like the school field day, then I take extra time and trouble to make a fun "kyara-ben. 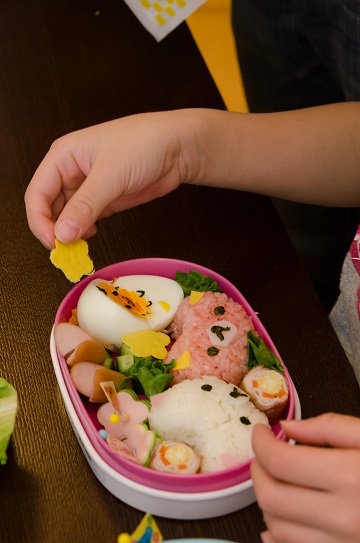 "** This keeps me pretty busy, particularly in the fall when the day care, school, and gakudo all have field days or excursions; this fall I made character bento at least six times between September and November. 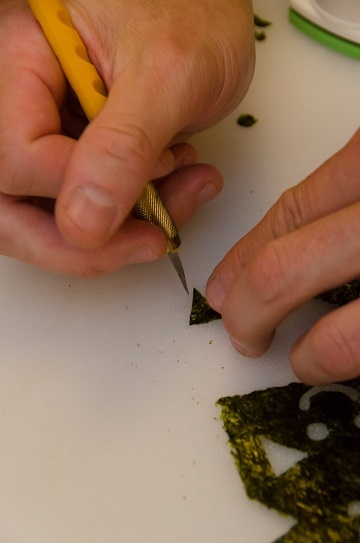 Compared to the usual bento, details like the cut-outs from sheets of nori seaweed for the faces of the characters takes time, so it sometimes takes close to an hour. *Public or privately run day care service is provided for school children mainly from first through third grade for after school hours or long school holidays. School classes end around 2:30, leaving several hours during which children whose parents are both working outside the home would be at home alone without supervision. Many families have their early elementary school age children attend gakudo in order to assure they are adequately supervised and have a safe place to play until a parent returns home. 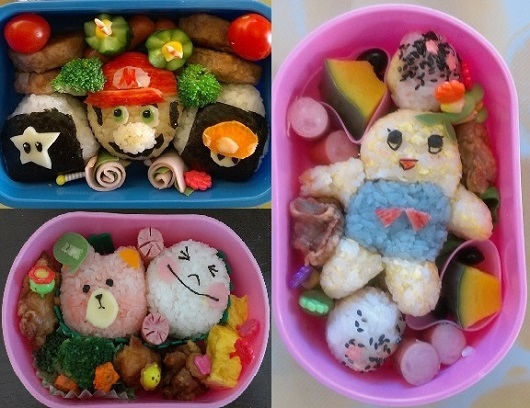 Upper left：A "Mario" bento made to my son's special request for a day care excursion. Right：A "Funasshi" bento made for my daughter's school excursion. 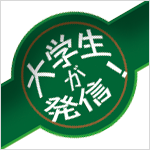 "Funasshi," representing the sprite of the Japanese pear (nashi), is the unofficial character for Chiba prefecture's city of Funabashi, where the nashi is a well-known local product. Lower left：A bento made for one of my daughter's school excursions. 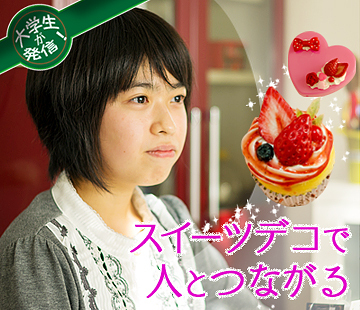 It features "Moon" and "Bear," the characters for the instant messenger service "Line" that many people use in Japan. 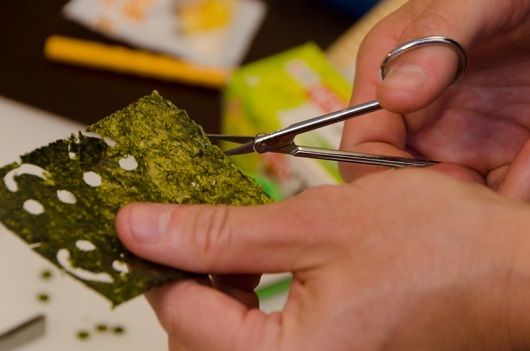 I use a device to punch out eyes and mouth from nori seaweed and also use small scissors to cut detailed shapes. The first time I made a kyara-ben was when my daughter started attending kindergarten. The kindergarten served lunch four times a week but Wednesday was bento day. That was when my wife was still with us so we decided to take turns making the Wednesday bento. Since I had been preparing some of our weekend meals anyway and was helping with the housework in general, we started out that way quite naturally. For the first week, my wife suggested I be the one to start off (laughter). I had never made a children's bento before so put a lot of thought into it. I had seen the kinds of kyara-ben made for children these days on television and in magazines, and I thought it might be kind of fun, so I took the opportunity to make a Shimajiro character bento. ** My daughter was surprised, I think--she seemed happy with it. At the kindergarten her friends and the teachers were excited to see the bento, saying, "Look what her father made!" The response was so great that I couldn't help continuing--I got rather carried away. So I said I'd make it the next week. I made bento for several weeks straight. Eventually, my wife offered to make the bento. 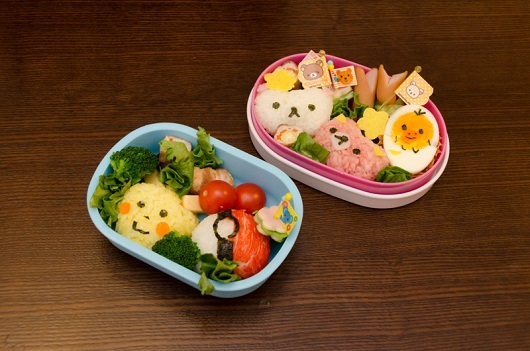 She made a regular bento, preparing the ingredients carefully, and it was really a cute bento. But one of my daughter's friends, or maybe the teacher, at the kindergarten apparently asked her, "Is your father sick today or something?" (grimace) When we heard that, my wife got kind of miffed and said, "You'd better make the bento from next week . . ." "What!" I thought, "I've got to keep this up! ?," but I had started to make them because I enjoyed it, and all I had to do was get up early one day a week, so I wasn't unhappy about it. What character do you think this is? Since I began making character bento, I'm always on the lookout when I watch TV for characters the kids will like, so I pay attention when I see a face that would be easy to create in a bento. But I generally start to think about what specific kyara-ben I will make about a week ahead. Some people who make kyara-ben fashion extremely realistic images, using the white rice as a background canvas and the black nori seaweed sheets to sketch the picture. If I did that, I'd never get any sleep, however, so mine are a little simpler, mainly using onigiri rice balls as the base and choosing characters that can be depicted without doing a sketch in advance. Once I decide what character to make, I think what kind of ingredients to use to depict the character. For example, for the whites of eyes, I might use white kamaboko fish cake or egg white and I figure out which kind will look best and be fastest before I try. Of course it's also important whether the result is good to eat and not to waste food. 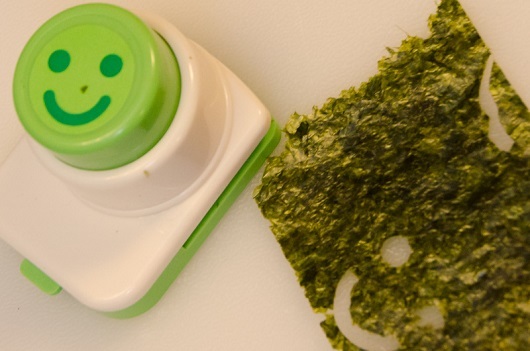 Recently many convenient ingredients and tools are on sale for making kyara-ben--sprinkles to make colored rice, punches for cutting out eyes and noses from sheets of nori, and so on--and I use them. I also pick up techniques from seeing the bento made by others. "I usually make kyara-ben early in the morning before the children are awake, so this may be the first time I've showed them how I do it." 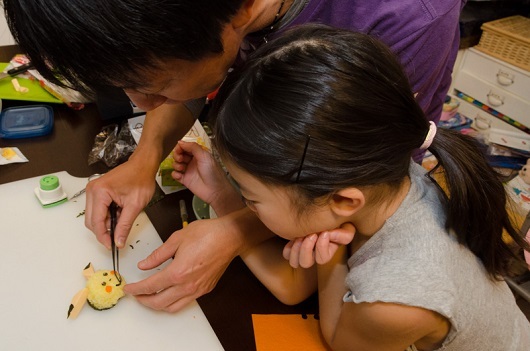 Arao-san puts the finishing touches on a Pikachu onigiri with help from his daughter. 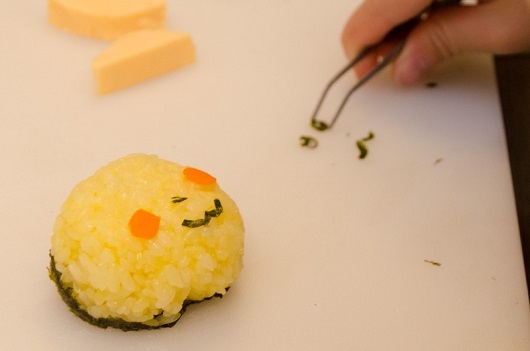 To make a character bento come out according to plan, it helps to be good with your hands. But more than that probably it helps to have the patience to do detailed work that takes time and to be motivated to create something from an image in your mind. I have enjoyed making things, drawing pictures, and using my hands to make things since I was a kid, and once I start making something, I get kind of absorbed. I enjoy trying this way or that, experimenting with different ways of doing it, until I'm satisfied. For kyara-ben, you make the bento in your own way--success or failure depends on just an idea or inspiration. That may be why I enjoy it so much. Plus, I enjoy the process: buying the ingredients, doing preliminary preparations, working out how I'll put it together quickly in the limited time available in the morning, and so on. Doing that sort of thing is something I find fulfilling. When we planned a family trip, I'd work out when we would leave home, where we would eat, and would create a full itinerary from morning to night. Then I'd make a pamphlet and even do a little presentation to my wife of our trip plans . . . (laughter) I guess making a kyara-ben for one of the children's events makes it an event for me as well. When the bento is complete I get a big feeling of satisfaction. I take a phone photo and pat myself on the back--"Look at that, pretty good job, eh?" feeling pretty proud of myself. Considering how happy I get when others see the bento and are impressed and surprised, I guess maybe I'm a hopeless showoff. When I think why I really got so involved with making kyara-ben, a big part of it is the thrill I get from having made something to fit an image I had in my mind. Probably I can do this because it's only occasional. Some people might think it's silly to spend so much time on such a thing. It just happens to be something I like to do. Actually, before I really got the hang of bento making I made a bento that was very cute to look at but was difficult for my daughter to actually eat. The onigiri was too loose and crumbly, and there were leftovers in the bento when she brought the box home. That made me think that I'd failed to think of the bento as food. It is intended to be eaten, and I must never forget that. When I think of their health, I really want the children to be willing to eat all kinds of things. Not just for bento, but for the meals I make for the family every day I try to aim for good nutrition, mainly following Japanese-style cooking. I am a marathon runner by hobby, and it is generally said that if your weight increases by one kilogram your time will slow by three minutes, and so I'm fairly conscious of what I eat myself, and so it's not hard to figure this into my bento making as well. I learned to cook in elementary school. I used to make my own original versions of simple dishes like fried rice or ramen. Magazines for children included booklets on cooking ideas for kids, and I once made ankake ramen by making a thickened sauce to pour over the ramen based on one of those booklets. When I was studying late at night for university entrance exams, I would make my own midnight snacks and I cooked for myself when I lived on my own during university. I had a part-time job at a small izakaya drinkery where I learned various new dishes from the proprietor who ran the shop. Right now, in fact, I'm hooked on kara-age deep-fried chicken--experimenting with different recipes, watching it made on television, and trying out various types of coating flour and methods of deep-frying. Since I myself enjoy eating good food, I'm also keen to feed the children good meals. Nothing makes me happier to hear them say, "I love Daddy's cooking." By feeding them good and nutritious meals that I've made with thought and care, I hope I can show them how much I love and support them. Having the children help with meal preparation inevitably means the cooking takes more time, so on weekdays I can't really let them into the kitchen, but on holidays, they can get into the act, and we'll make yakisoba fried noodles and such. 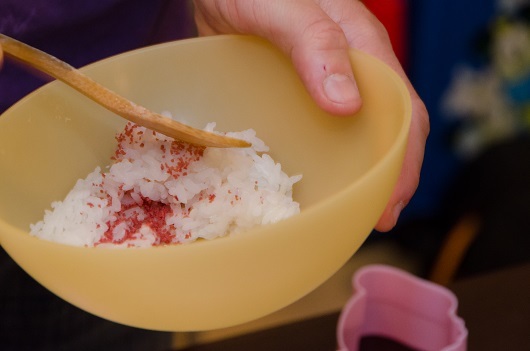 The other day when we made chirashizushi ("scattered" sushi), I gave the children the ingredients and let them decide how to scatter them over the rice. I am originally from the Kansai area, so I really hope to teach them at least how to make takoyaki. When we made takoyaki, once I showed them how to turn over the ingredients on the takoyaki pan with semi-spherical molds, I said, "Now it's up to you two," and let them take over. When they grow up I hope they will remember how enjoyable it was to cook and eat together. A sheet of nori seaweed (right) is often used to make the eyes, mouth and other features of the characters. Cut-outs can be made using a special punch (left) or with knife, scissors, or cutter knife. 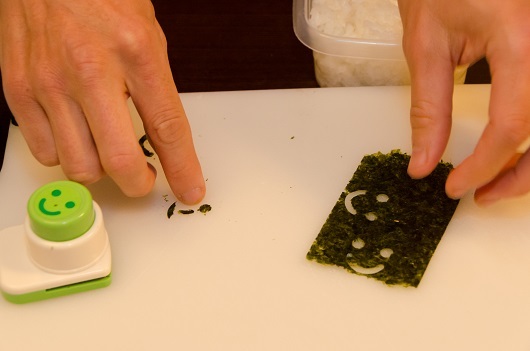 Place the nori sheet in the punch and press the punch to make eyes, nose, etc. Use the cut-outs for the kyara ben. 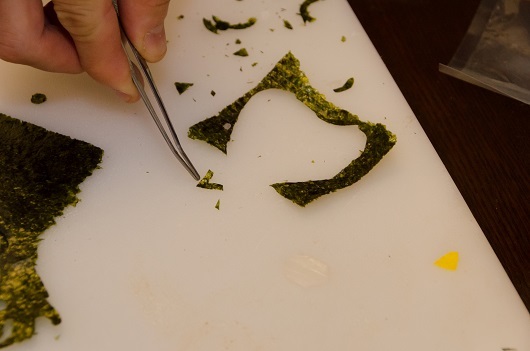 Cut a triangular piece of nori in a V-shape to make the shape for the nose and mouth of the two bears. Kamaboko is often used for the white area of the bears' faces. 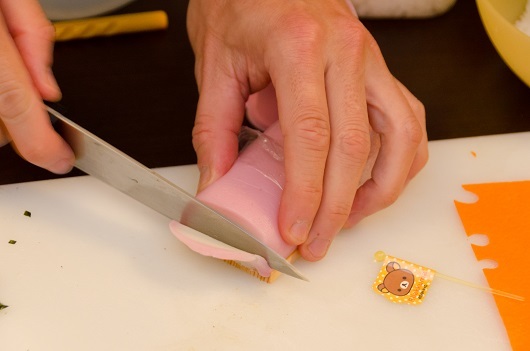 Cut out the white part of the kamaboko stick and shape the white patch on which to place the nose and mouth of the bear characters. Recently, with the number of people making kyara-ben increasing, furikake flakes are sold that tint the rice different colors. 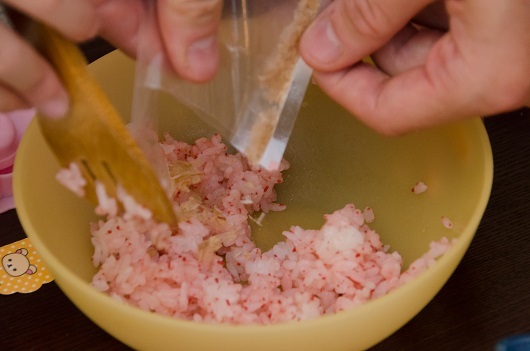 For the pink bear's face, mix part of the rice with furikake and bonito flakes (katsuo-bushi). 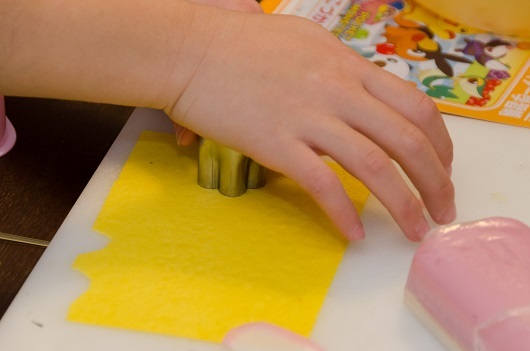 Cut out flower shapes out of thin egg sheet (usuyaki tamago). Often an ingredient in home cooking, egg sheets can be easily prepared by whipping egg seasoned with salt, sugar, and strengthened with katakuri-ko spread thinly in an oiled, well-heated frying pan. With the popularity of kyara-ben, now pre-prepared thin egg sheets can be purchased as well. The ears of the bears and the decorative flowers are made from egg sheet cut-outs. Create the faces from the parts previously prepared. Use pincers to place the parts just where you want them. 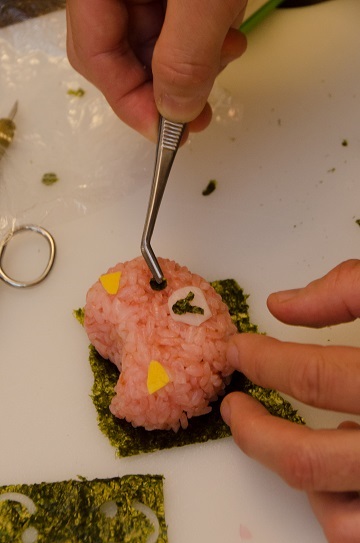 Place the completed bear-head-shaped rice ball in the bento box. Garnish the finished bento with the flowers cut out of egg sheet.